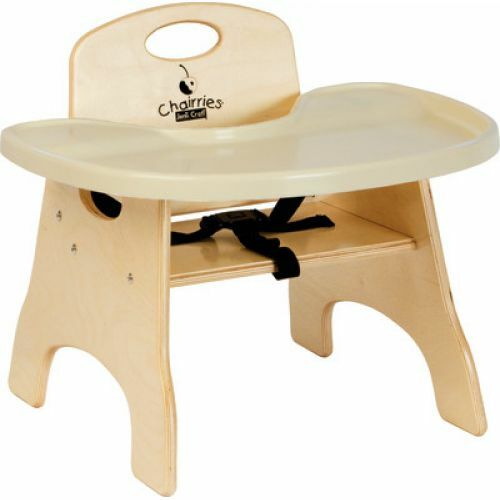 High Chairries® are a smart and versatile choice for any early education environment. Designed to make feeding and clean-up a snap, the High Chairries feature a durable 22" wide x 17" deep stain-resistant, FDA Approved and BPA-free plastic tray that has 126% more surface space. The raised lip helps contain spills and can hold up to a half gallon of liquid. A removable and adjustable 3-point seat belt makes for easy cleaning and an excellent fit. Available in multiple seat heights.